Thomas spent 6 years in the Navy and sold commercial insurance for over 20 years. 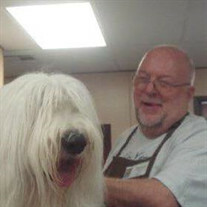 He will be remembered for his dedicated volunteer service at several animal shelters. It was truly his passion. The family of Thomas Painter created this Life Tributes page to make it easy to share your memories.